Timothy A. Stratton was in youth ministry for fifteen years. 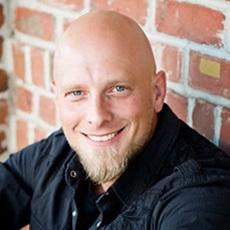 He started as an intern in Santa Cruz, California, then went on to work for Youth For Christ, Navigators, and eventually worked as a youth pastor for nearly ten years in the Evangelical Free Church in Kearney, Nebraska. He saw first-hand how the lies of “new atheists” were impacting young impressionable minds of his students. This led Tim to devote his life to answering “tough” questions about God and Christianity. Tim pursued his undergraduate studies at the University of Nebraska-Kearney (B.A. 1997) and after working in full-time ministry for several years went on to attain his graduate degree from Biola University (M.A. 2014). More recently, Tim was accepted at North-West University to pursue his Ph.D. in systematic theology. His doctoral work is primarily focused on demonstrating God’s middle knowledge and mankind’s libertarian freedom (“Mere Molinism”), and how this view has apologetic significance. Tim is an adjunct professor at Nebraska Christian College and is in the process of ordination with the EFCA. He has spoken to numerous audiences around the country and loves to engage in one-on-one conversations with anyone doubting or wrestling with the truth of Christianity. He spends much of his time recording podcasts and writing articles on his website. He also enjoys interacting with our culture via several social media outlets. Tim is passionate about answering questions regarding God, the Bible, and Christianity. He is focused on reaching people both on-line and off-line, on Facebook and face-to-face. Besides theology and apologetics, Tim loves to spend time with his family. Tim enjoys doing Cross Fit with his wife, Tia, and mixed martial arts with his son, Ethan. Tim used to compete professionally in martial arts and was a successful MMA coach. He also was an accomplished bass player in several Christian rock bands and continues to record as a studio musician. He loves watching football, basketball, super hero movies, and Star Wars! Also, given Tim’s pastoral experience, he loves to preach Bible-based sermons “sprinkled with apologetics goodness” as he likes to say!